All your team can use AppFollow to boost app store ASO optimization, reply to customer reviews and promote app in general. The owner can invite other team members with different access levels. 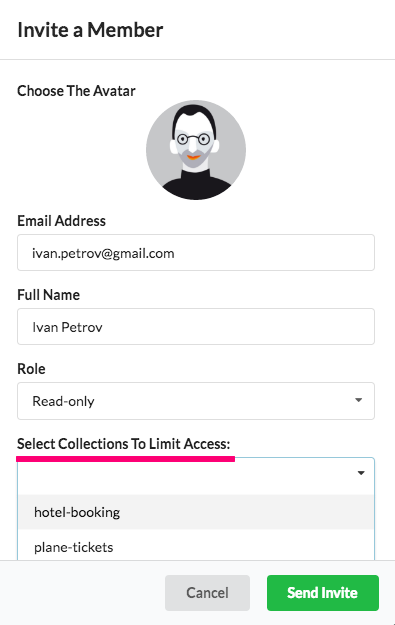 Read-only — only viewing access to the account data excluding billing page. This role doesn't allow to edit settings except adding tags and notes to user reviews. Team members can either get full access to all your apps data on AppFollow, or only limited access to particular apps collections. Click on "Send invite" — all is done! If your invitation is pending too long, you can Re-send it. If you need our help, just write an email at help@appfollow.io or press an intercom button and start a chat.